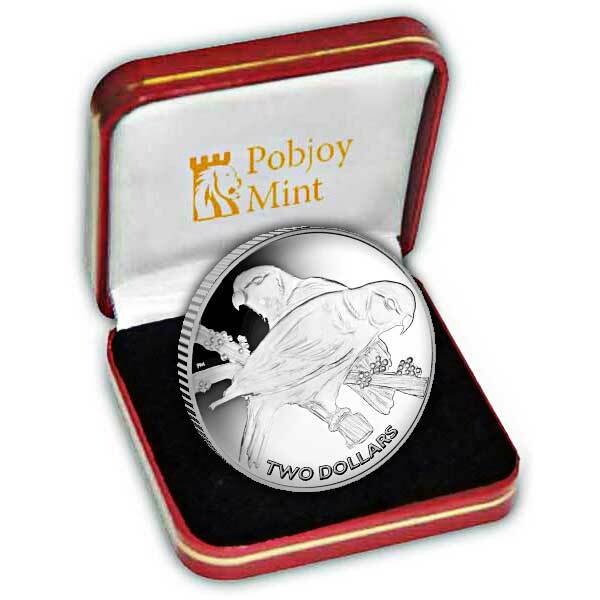 The collared Lorys is the nationwide bird of Fiji and is endemic to the Islands and is understood locally as Kula. It is the only rainforest bird to have effectively adapted to urban landscapes. The Collared Lory has greenish upperparts, brilliant scarlet chest and a face with a purple crown. There is likewise slight Sexual Dimorphis, within the types and the males have the tendency to be more lively in colour than the females. The Lory is generally discovered in sets or little groups and grows to around 20cm in height feeding on a diet plan of fruit seeds, nectar and blossoms. 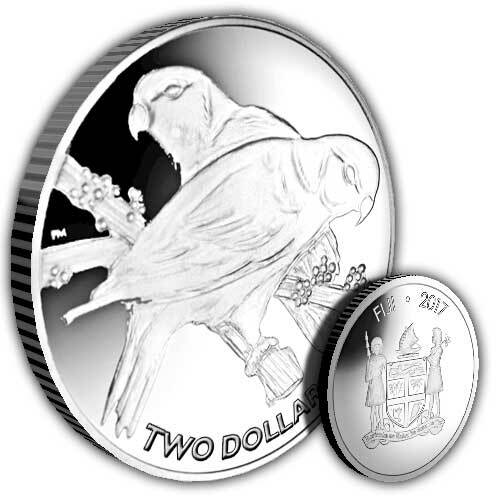 The design on the coin includes a gorgeous set of collared Lories perched on a tree branches. The hardest part of this style was to capture and bring to life the texture of the Lory's feathers and completion result is actually enticing.